Spain won Euro 2008, the 2010 World Cup and Euro 2012 in scintillating style. Favorites for every tournament, they steamrolled through the opposition thanks to their accurate passing, rapid pace and technical superiority. Such was their confidence that they even played games without a striker. But Spain’s success is no surprise to anybody following their progress. It comes from two decades of gradual improvements in tactics, coaching and infrastructure. Spain now provides the blueprint for coaches at every level on how to develop a winning side. 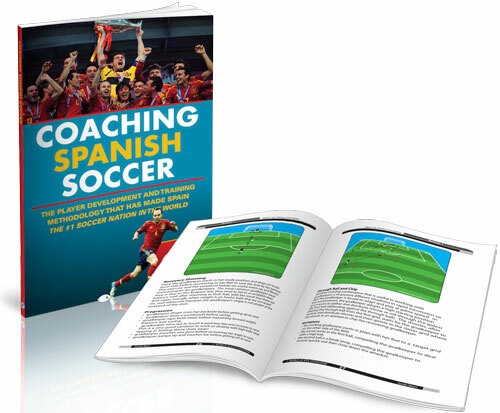 Coaching Spanish Soccer is one of the most comprehensive books you will find on Spanish soccer. Along with profiling the players and tactics, the book’s author, Jordi Pascual, digs deep into the foundations of why Spain has arisen from obscurity to dominate soccer on the global stage, at both club and national level. From the adoption of Holland’s concept of ‘Total Football’ to the national team’s to the grassroots coaching that continues to develop stars of the future, Coaching Spanish Soccer is your ultimate guide to adopting the most attractive, skilful and devastating style of soccer in the world today. When Spain won their third international championship in a row it was no surprise to Spanish coaches. They knew that their current ‘golden generation’ had been winning tournaments at youth level since the mid 1990s. They knew that they had the players with the technical ability and tactical nous to beat any team on the world stage. But this wasn’t always the case. Prior to 2008, Spain hadn’t reached the quarter finals of a major tournament since 1964. Both their clubs and international team were stuck playing a mediocre ‘La Furia’ (the fury) style for decades, where they played with their heart but not with their head. This all changed with the appointment ofJohan Cruyff as Barcelona manager in 1988, bringing with him the Dutch concept of ‘Total Football’ and a new professionalism to developing young players. Coaching Spanish Soccer explores how ‘Total Football’ became engrained into Spain’s soccer DNA and evolved into the tiki taka style for which it is now renowned. 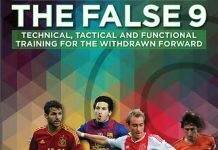 It looks at how Spain’s players and coaches at every level have remained faithful to the concept, including how it is coached at a grassroots level and how the current international squad uses it to pass the ball all the way into the opposition’s net. Jordi Pascual had a brief playing career as a goalkeeper before swiftly jumping into coaching. Pascual developed his coaching knowledge during the reign of Johan Cruyff’s Barcelona “Dream Team” during the early 1990s when they were regarded as one of the best teams in the world. From this passionate support for his local Catalan team, Pascual developed a rich appreciation for a possession and fast paced passing style of soccer. During his coaching career, Pascual has worked for the Catalan FA with U-11 and U-14, along with managing many amateur and semi-professional sides. In 2000 he moved to Andorra where he was Assistant Coach of the U-19 and U-17 National teams and manager of FS La Massana in the Andorran second division. Pascual has also worked with U-12 and U-14 for several years. This comprehensive book starts at the foundations of modern Spanish soccer in the early 1990s, when Barcelona, under Johan Cruyff’s management, won the Champions League. 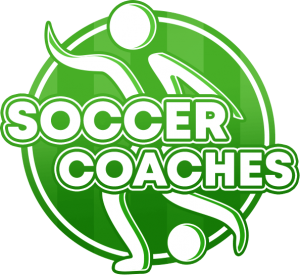 Coaching Spanish Soccer analyses the attributes of today’s current golden generation of players, such asCasillias, Xavi, Iniesta and Fabregas, the way it plays and the responsibilities of every player in the team. This includes a chapter on Spain’s technically gifted midfielders Xabi Alonso and Busquet, with an analysis of their importance in keeping the Spanish team’s shape, in creating space and dictating the pace and rhythm of the game. At Euro 2012, Spain rewrote the soccer coaching manual when they fielded a team with a ‘false 9’ and played without a conventional striker. Pascual looks at how this controversial formation, with Fabregas dropping deep, confused the opposing defenders and created space for Spain to exploit. The second half of Coaching Spanish Soccer then looks in-depth at the system and infrastructure that has enabled Spain to evolve into becoming today’s dominant soccer nation. This includes the role of Spain’s clubs in developing players at a grassroots level, how its scouting system works and the style of training in Spain and how it differs from that of other countries. Pascual also provides a chapter of typical Spanish drills and exercises, including those used by Johan Cruyff at Barcelona. There are 19 drills in total, comprising of ‘rondo’ possession exercises, small sided games and progressions with players working in pairs. These drills can all be adjusted with extra touches, grid sizes and numbers to suit the skill level of your players. Finally, Coaching Spanish Soccer looks at the culture of soccer in Spain. This includes a look at the clash of Spanish identities when Real Madrid and Barcelona collide, facts on the participation of people in soccer and how Spanish soccer will progress past today’s current golden generation of players and into the future. Spain plays a fast paced, technically adept and entertaining style of soccer which coaches everywhere want to emulate. But learning to play this style requires more than simply drills and learning how to imitate Spain’s formation. 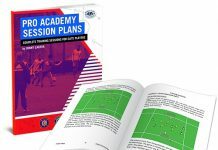 You also need an in-depth understanding of the mentality, the players and the culture that has enabled this scintillating style of play to arise. This is what you will gain from Coaching Spanish Soccer. Spain’s victory at the last two European Championships and the last World Cup have made coaches everywhere yearn to imitate their style of play. Prior to 2008 Spain hadn’t reached a quarter finals since 1964. So there are valuable lessons every coach can learn from the Spanish model on how to develop young players into stars of the future and to build a record beating run of success. 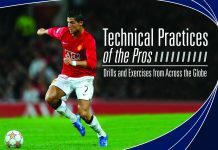 “I will be certainly incorporating the exercises or ‘Rondos’ provided in this book into my own sessions. 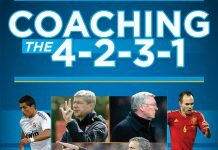 Jordi Pascual simplifies the 1-4-2-3-1 formation by breaking down each position, describing their responsibilities both with and without possession of the soccer ball, making it easy for coaches of all levels to understand. It’s amazing to think that Spain was a mediocre team for decades before Johan Cruyff arrived at Barcelona, bringing with him the concept of ‘Total Football’ and a revolution in Spanish soccer. Spain now provides the benchmark for teams everywhere, both on how to develop young players from grassroots level and how to play a fast paced, technically adept style of soccer. Coaching Spanish Soccer tells you everything you need to know about how Spain has evolved into today’s most dominant team. It will enrich your knowledge on today’s current golden generation and how Spain’s coaches weld them together into a cohesive unit that’s constantly moving around the pitch without losing its shape. 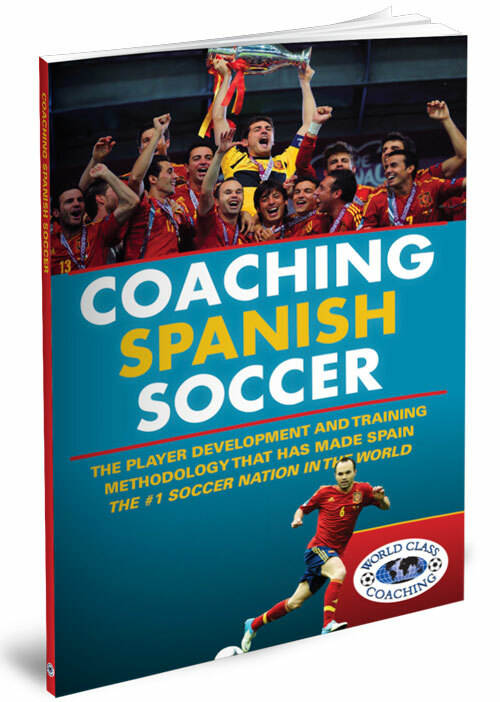 If you want to broaden your knowledge on Spanish soccer or want to discover how you can adapt Spain’s playing style for your own team, Coaching Spanish Soccer is packed with fascinating insights that will make it a valuable addition to your coaching library.